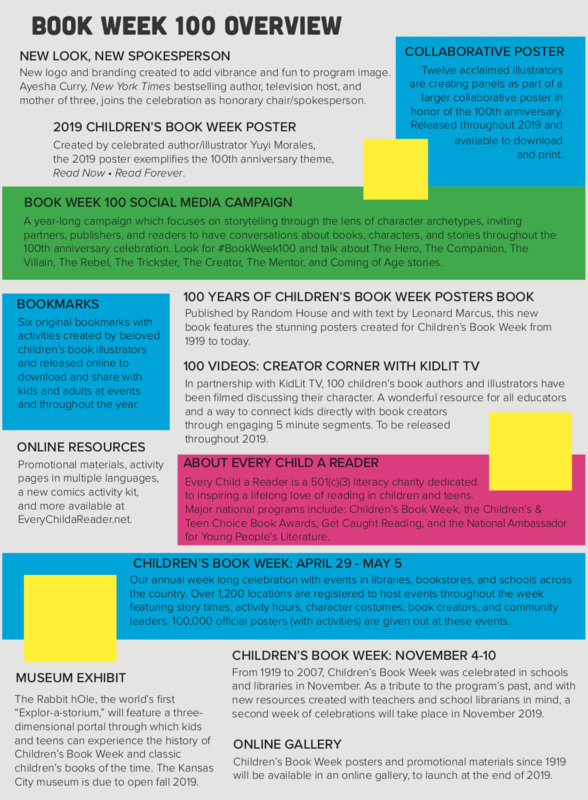 Join us in celebrating the 100th Anniversary of Children’s Book Week in 2019! Our celebration campaign will last all year. November 4-10, 2019: Fall Children’s Book Week! Sign up information available this summer. And stay tuned for details on our social media campaign, contests, an exhibit, and more! 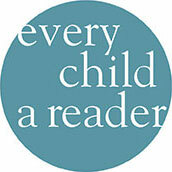 What does it mean to be an official event location for Children’s Book Week? Take a look at our FAQ for more details and email Shaina.Birkhead@CBCBooks.org with questions. Sign up for all schools, libraries, and bookstores for our Spring week of celebrations, April 29 – May 5, 2019, is now closed. More information about our fall week will be available soon. See our press release announcement here. Registration to be an official Book Week location is now closed, but you can request posters here, and we will get them to you by late April. Thank you for your patience as our sign-up is 50% higher than last year.